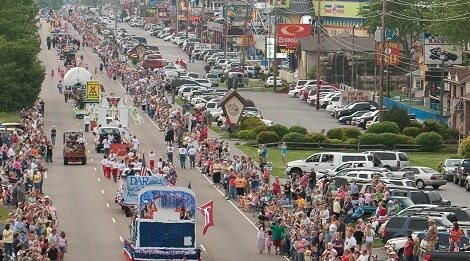 With Cal Ripken, Jr. leading the way, Pigeon Forge’s new Music in the Mountains spring parade is set for May 3 at 6 p.m. (Eastern) on the city’s Parkway. Plus, there are several new elements that extend the fun and celebration into the weekend. 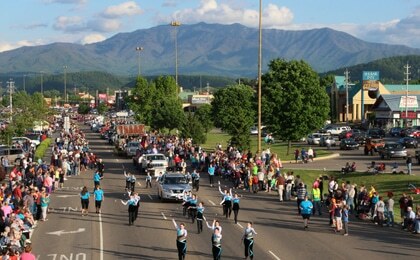 The Music in the Mountains Spring Parade in Pigeon Forge will showcase the rich musical heritage of the Great Smoky Mountains while spotlighting the variety of entertainment provided by the many theaters located in the popular vacation destination alongside high school marching bands, dance groups, choral groups, and baton twirlers from Tennessee, Ohio, West Virginia, Kentucky, Virginia, Georgia and more! 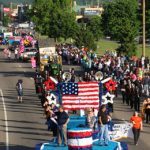 Theaters located throughout the city also will have the opportunity to give parade attendees a glimpse of their respective shows. Also new for 2019 are four larger-than-life-sized cold-air balloons. Three depict popular children’s characters—the Pajaminals, Daniel the Tiger and Yogi Bear. 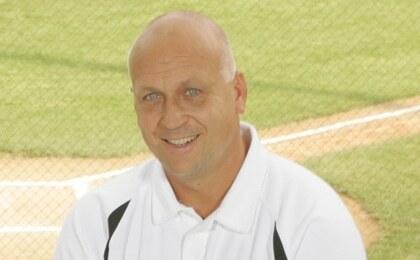 A fourth, a baseball measuring 10-feet in diameter, recognizes the Ripken Experience Pigeon Forge. 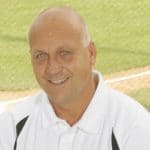 “Cal Ripken, Jr. has proven himself and his organization to be a perfect fit for Pigeon Forge,” said Pigeon Forge City Manager Earlene Teaster. The Ripken Experience Pigeon Forge, a $22.5 million youth baseball facility, opened in 2016 and in just two years, hundreds of baseball teams from across the country have played on the facilities six turf fields. 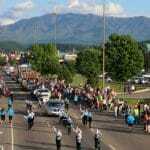 In keeping with the Music in the Mountains parade theme, free bluegrass entertainment will be featured throughout the city on Friday and Saturday—with a few memory-making surprise performances that are sure to draw a crowd. 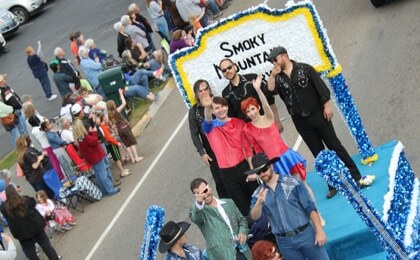 May 4th from 5 to 11 pm: Dank Strangers will perform on Friday (May 4) from the Ole Smoky Moonshine stage at The Island. May 5th from 6 to 8 pm: Local favorite Jim Smith takes the stage at the Gazebo at the Old Mill. 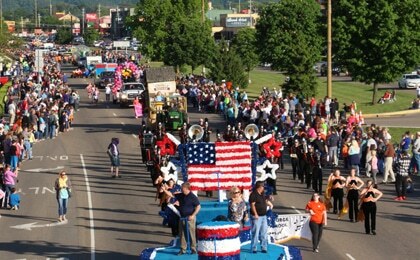 Admission to the parade and both concerts is free. 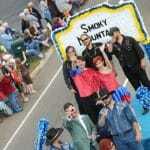 Parade registration also is open to others who wish to celebrate the area’s musical roots. 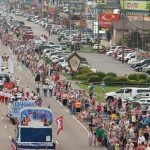 For information on how to participate, or to register please fill out the parade entry form and email us directly at scarr@mypigeonforge.com for required information.